Migration watch; 06.10 - 19.00hrs. 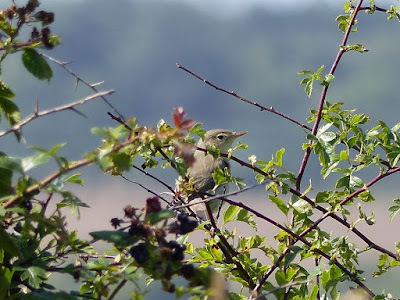 The second ICTERINE WARBLER within a week was the days highlight, it was seen dropping out the sky at Long Nab where it showed only to the finder in the cover crop hedge before vanishing. 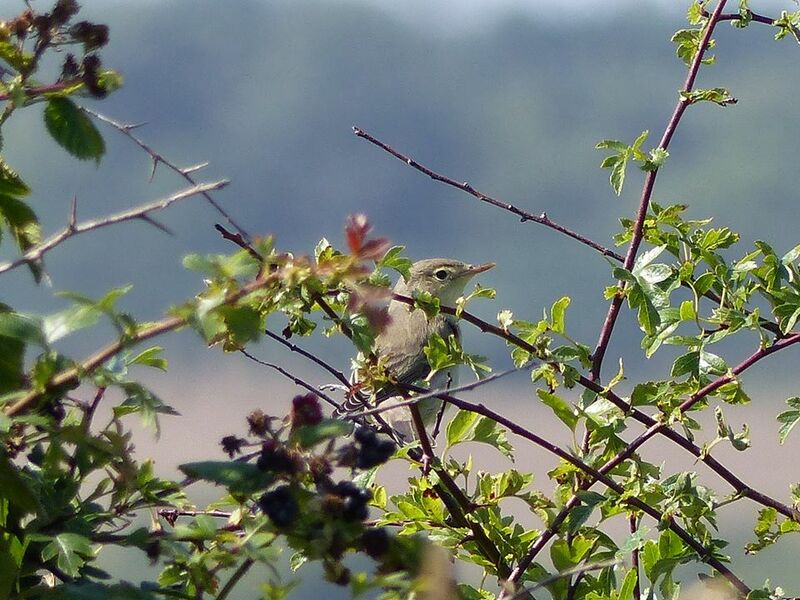 Other migrants in the Long Nab area included 2 Redstart, a minimum of 13 Pied Flycatcher, 1 Spotted Flycatcher, 7 Whinchat, 3 Wheatear, 15 Whitethroat, 1 Lesser Whitethroat, 1 Blackcap, 13 Chiffchaff, 5 Willow Warbler and 1 Fieldfare. 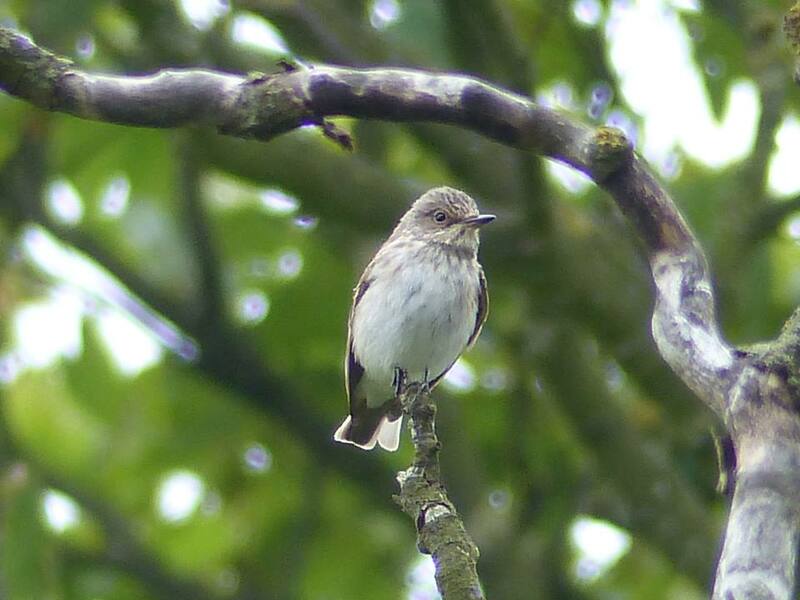 Elsewhere 2 Pied Flycatcher, 2 Wilow Warbler and a Wheatear were at Ravenscar and 3 Pied Flycatcher, 1 Redstart, 5 Whinchat, 11 Wheatear, 5 Willow Warbler, 2 Chiffchaff, 2 Blackcap and 1 Lesser Whitethroat were on Castle Hill. Waders seen included the 2 Spotted Redshank, 7 Green Sandpiper, 1 Common Sandpiper and a Redshank were on Johnson's Marsh, 4 Common Sandpiper were at Cloughton Wyke, 1 was at Long Nab and 2 were in North Bay, a juvenile Yellow-legged Gull was seen in fields at Long Nab. On the move (south unless stated) were 57 Fulmar + 6 north, 2 Manx Shearwater, 3 Cormorant + 3 north, 3 Grey Heron, 1 Greylag Goose north, 137 Teal, 8 Common Scoter, 30 Oystercatcher, 5 Golden Plover, 16 Ringed Plover, 36 Dunlin, 11 Whimbrel, 3 Redshank, 1 Greenshank, 1 Green Sandpiper, 2 Turnstone, 7 Arctic Skua + 2 north, 1 juvenile Mediterranean Gull north, 49 Black-headed Gull, 9 Common Gull, 1 Lesser Black-backed Gull, 27 Great Black-backed Gull + 2 north, 600 Kittiwake north, 4 Common Tern, 1 Black Tern, 1 Swift, 1 Sand Martin, 76 Swallow, 21 House Martin, 1 Flava, 1 Alba and 17 Linnet.